Thanks to @scammpy for the original alert, I have now banned a forum member for offering for sale (and in fact, for selling) a counterfeit helmet. In my opinion this is way worse than the knock-off Pinarello carbon frames as regardless of your views on helmets vs no helmets, they are safety equipment and if you opt to wear a helmet you really do need it to do the job intended. 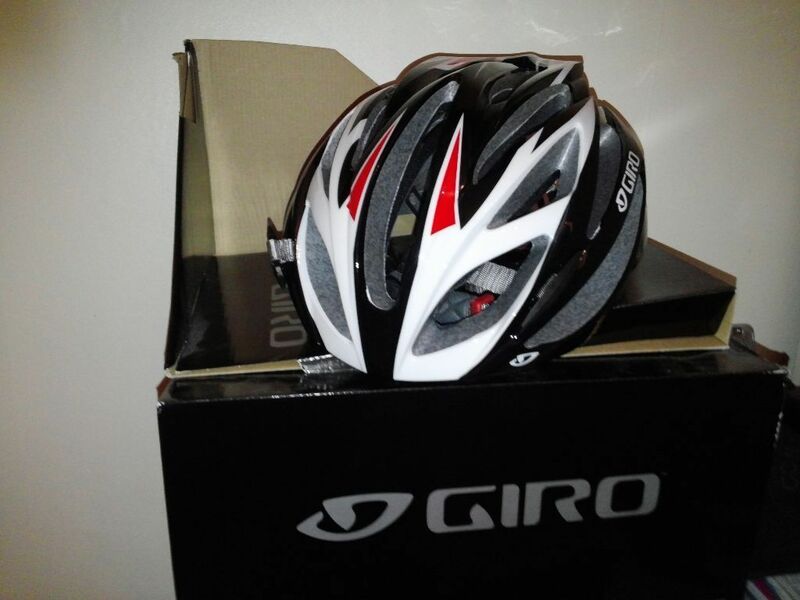 For sale this brand new Giro Lonos. Universal adjustable one size fit 54-61cm. The Ionos has not been sold for many years, it's a 2009 helmet. The tightening device on the rear of the helmet is clearly cheaply made, and if you find old reviews of the real thing it actually looks little like the real thing. The cross-beams do not carry the carbon weave that the original has, and on the original the cross-beams are notably deeper cut. On the original the aero vents viewed from the front and rear have a more aero cut... you can see through from front to back whereas on the counterfeit it looks to be cut towards a central epicentre and isn't going to offer ventiliation. The big concern is safety. If you buy a helmet, it should be good for that job. The counterfeits are likely little more than shaped polystyrene with a plastic laminate and the head harness, with zero testing to ensure that it could protect anything at all. You do not want to use one of these helmets even if you were unlucky enough to have bought one. Thankfully the buyer in this case was identified through PM metadata as @Stonehedge . I didn't know for sure that he'd bought it, but it turns out that the metadata was right and he was the buyer. He's going to pursue getting his money back and if that fails he has the option to Action Fraud and other parties interested in counterfeit goods and other low level fraud. It may be that the seller did not know it was counterfeit, but that really isn't Stonehedge's problem and nor is it going to be an acceptable excuse on here. No helmet can be declared as any of: NoS, never worn, unused. You must show clear photos of the shell to demonstrate it has never been in an accident and cannot offer for sale any helmet with signs of damage. You must show clear photos of the straps and rear tightening mechanism as this is the best indication that it is authentic. If anyone offers a counterfeit helmet for sale then regardless of any long-standing reputation on the forum you will be immediately banned without appeal. If anyone breaks the above new rules then you may be banned. End of PSA, and again... thanks to @scammpy for the heads up. Good work all round. Thanks @scammpy. Aliexpress sell what look (based on the pics) like convincing copies of the POC helmets. I've personally sold fake items that I originally bought from Aliexpress (not on here, locally). I'm very Clear about where the item is from and that is not an original piece. But I also have fake items in my parts bin that I dont consider safe, and thus wouldnt sell no matter how up front the ad was. I'd feel the same about a fake helmet. This struck me as a little off http://www.ebay.co.uk/itm/POC-RD-Raceday­-Helmet-New-Bright-Orange-Hi-Vis-New-wit­hout-Box-/291776657090?_trksid=p2047675.­l2557&ssPageName=STRK%3AMEBIDX%3AIT&nma=­true&si=2t27CCUhhnquOnhFo91eITgClsc%253D­&orig_cvip=true&rt=nc I have no evidence it's an aliexpress helmet, but it does seem worrying people are willing to blur the lines with fake helmets as has happened with this Giro. Doesnt look anything like a POC to me. The back is all wrong. Good work all. Didn't spot it as a fake at all and considered buying it as was unused. Hope Stonehedge gets their money back. Seller seems to be embarrassed and wants to refund me. I have asked that he makes a donation to LFGSS instead of a refund because this place is awesome with this kind of thing. Not sure how long the seller will be banned for but if donation is forthcoming I don't think he should be banned for long. I guess that is @Velocio 's call. Embarrassment and a swift correction is enough for me to unban. 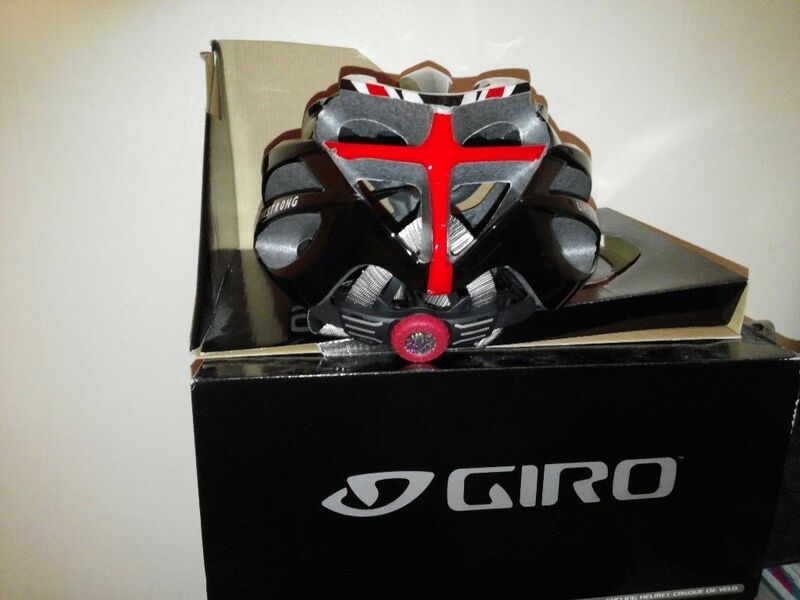 Do bear in mind the later model Giro Ionos doesn't have the carbon weave effect on the cross beams. Was there ever a 'one size fits all' Ionos? 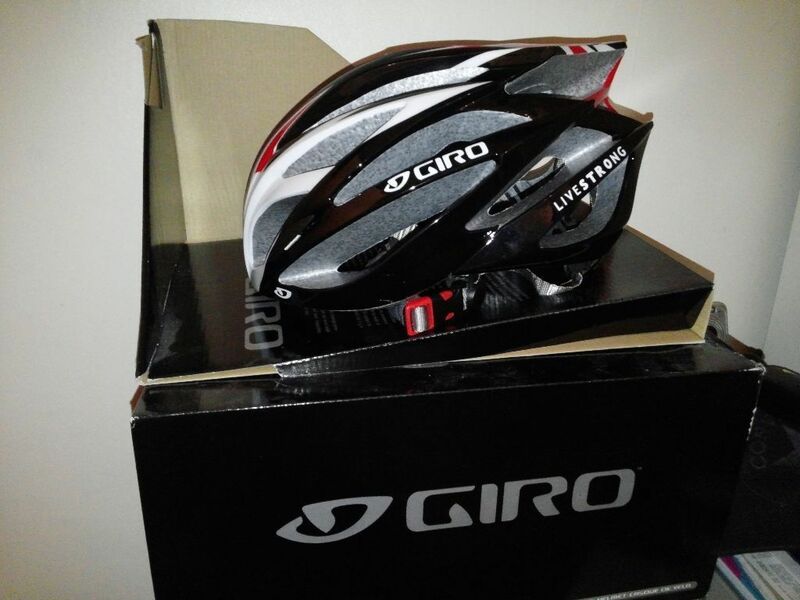 Giro helmets usually come in three sizes. I would have thought the 'Livestrong' sticker would have been enough to put most buyers off. This should be the most damning thing of all. 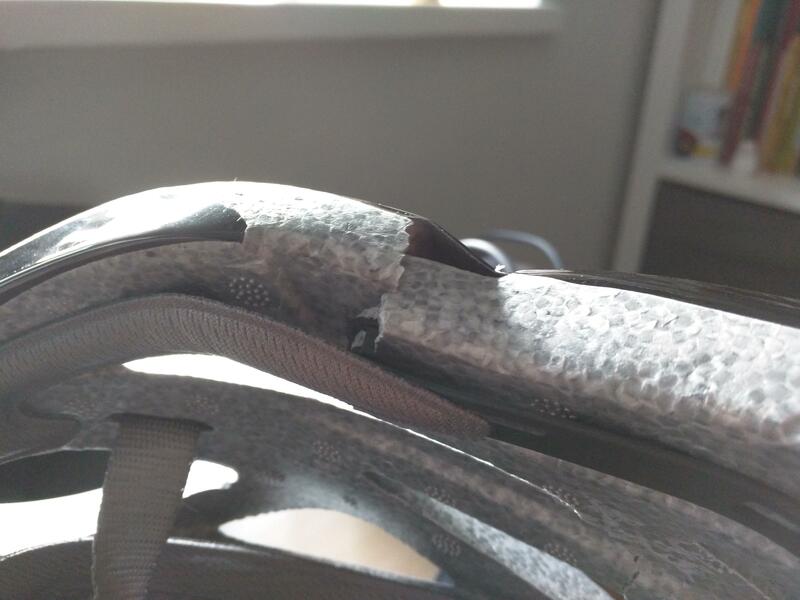 This just happened when I was playing with the straps to compare quality with other helmets that I have. Scary. I doubt it would put most people off. Not everybody cares about a word on their helmet. An intriguing question, but given the original ad was for a 'brand new' helmet, I can't help but wonder why you think this is a good occasion to ask it. Helmets Should have the safety sticker saying they comply too in the EN1078, is that case with this one? It really depends on what sort of helmet you're buying and what you want to use it for. For instance, if you're getting into time trialling and want to have a go with an aero helmet without a large initial outlay then second hand is a reasonable consideration. Bear in mind that there is no "cheap new" option with TT helmets.